Of all the siren calls that lure me out of the fog of daily drudgery, nothing grabs my attention like nature’s brazen displays of beauty. A gorgeous sunset that greets me from my kitchen window, stopping for a doe and her newborn fawn to cross the road, a wildflower blooms in a crack in the sidewalk, the sound of birdsong beckons me to leave my desk and watch the nest hidden amongst the freshly greening tree boughs outside my office window. Nature never stops calling to us, the ever-present muse that invites us daily to take a moment and see the beautiful life that is happening all around us. A traditional yellow crocus bulb greets me in January, at my home in Vancouver, BC, Canada. Photo by Rebecca Anderson. When you live in a northern climate, you know the frustration of waiting for winter to give way to spring. 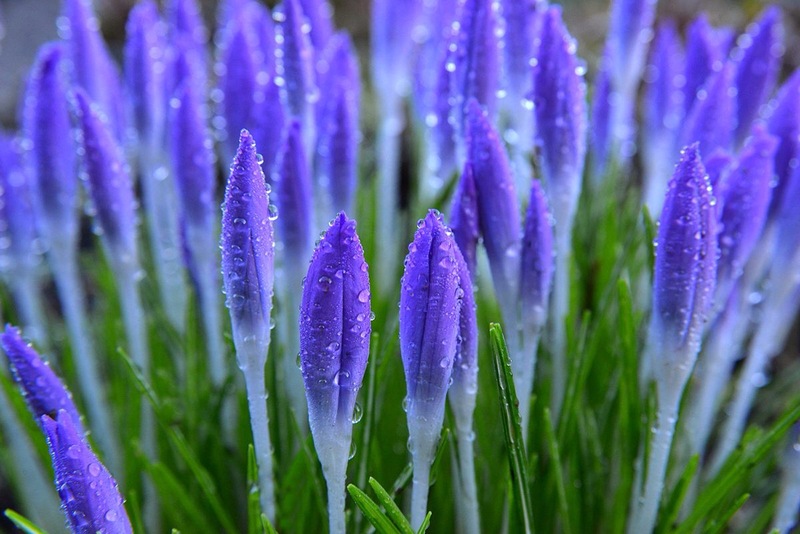 The sight of a crocus flower breaking through the snow with a splash of brilliant purple or yellow is like the kiss of the morning sun after a seemingly endless dark night. For this reason, I harbour a particular fondness for the “Prairie Cocus” (Anemone patens), also known as the “Pasque Flower”, which grows throughout the prairie regions of Canada and the U.S.A. It is the first of the spring flowers to emerge, usually while there is still snow on the ground. 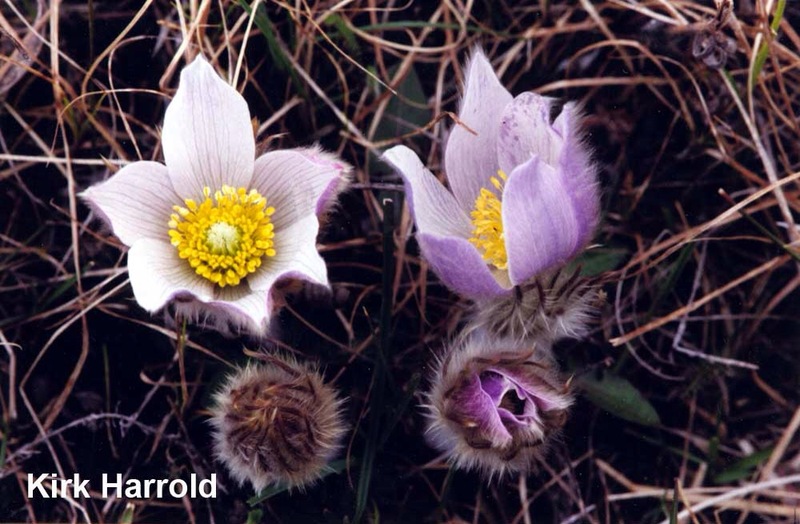 The wild prairie crocus is mauve-coloured and saucer-shaped, and its message of hope and beauty has earned it the status of official floral emblem for the Province of Manitoba in Canada, and the State of South Dakota in the U.S.A. It is a perennial plant, and unlike the variety that grows from bulbs, it is self-seeding. Seeds can be purchased for the home gardener. It takes about 3 years to bloom, and at first you’re lucky to get more than one flower, but after that the number of blossoms increases dramatically. It’s worth the wait. The provincial flower of Manitoba and the first plant to been seen blooming in the spring is also valued for its medicinal properties. The Aboriginals would use the crushed leaves to treat rheumatism and other painful ailments. The plant was also extensively used because of its qualities as a diaphoretic and a diuretic. By reporting when certain plants bloom and leaf out in spring, Albertans contribute vital information for climate change studies. The speed of spring plant development is controlled mainly by temperature. Warming winter and spring temperatures mean earlier appearances of flowers. This study of biological timing is called phenology, “the science of appearances”. There is evidence that spring is arriving earlier in many places in the west. “The alarm clock that all the plants and animals are listening to is running too fast” says Stanford University biologist Terry Root. Go here to visit the website for Alberta Plantwatch. 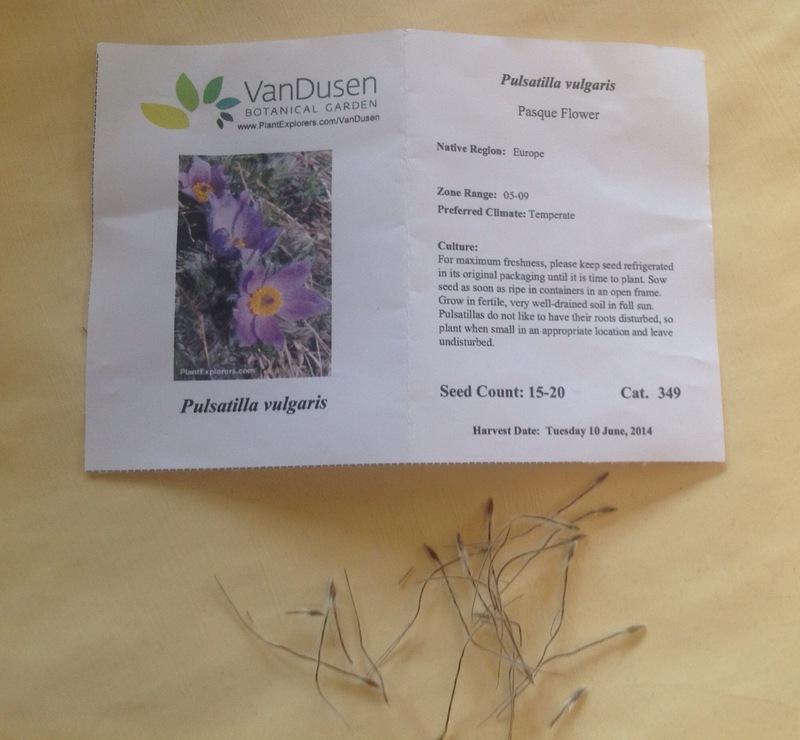 I purchased Pasque Flower seeds for my own garden from a display of wildflower seeds at VanDusen Botanical Gardens in Vancouver, BC. The package credits an interesting organization known as Plant Explorers, who have an intriguing website at www.PlantExplorers.com that is a good read if you share my interest in plants. Crocus Bluff Nature Trail, Dawson City, Yukon Territory, Canada. A sightseeing interpretive trail leading to a wooden viewing platform in the community, this trail is an easy-grade, level hiking route exploring along a bluff located high above the community. The nature trail is named after the crocus flower. It is the first flower to bloom in the Dawson City area every year. Along the nature trail are interpretive signs. The signs discuss the history of the First Nation people and existence of the surrounding flora and fauna. VanDusen Botanical Gardens, Vancouver, BC – located at 5251 Oak Street at West 37th Avenue (north west corner). I feel this place is achieving its vision: It is cherished locally and renowned internationally for the garden’s beauty and for their leadership in plant conservation, biodiversity and sustainability. The amazing plants on display are a botanist’s delight. They offer wonderful inspiration through their special events, programs and courses. They even have a library with a very special collection. There is a cost for admission to the gardens, or you can purchase a membership. Queen Elizabeth Park – 4600 Cambie Street, Vancouver, BC (at the junction of Cambie Street and West 33rd Avenue). The highest point in Vancouver, the park offers spectacular views of the park, city, and mountains on the North Shore. The 52-hectare park is home to a gorgeously landscaped quarry garden, the arboretum with its collection of exotic and native trees, sculptures including one by internationally renowned artist Henry Moore, and diverse recreational offerings such as tennis, lawn bowling and pitch & putt. The park is also the location of the Bloedel Conservatory. University of British Botanical Garden and Centre for Plant Research – “A vast botanical garden with plant life from local rainforests, Asia & global alpine regions.” Its mission is “to assemble, curate and maintain a documented collection of temperate plants for the purposes of research, conservation, education, community outreach and public display.” There are numerous gardens, each uniquely and stunningly beautiful, with guided tours and walks available. There is a price for admission, or you can purchase a membership. Don’t miss out on the gift shop and garden store. Butchart Gardens, Victoria, BC, Canada – “One of the world’s premier floral show gardens”. Truly remarkable and unparalleled beauty in its garden designs and floral displays, this is a place that attracts tourists worldwide. If you have a favourite location for spotting your spring display of crocus blooms, write me. I would love to hear about it!